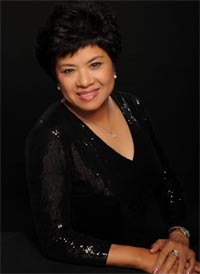 After graduating in 1982 from the Opera Faculty of Guangzhou Music College, Ms. Sophia Lee came to the U.S. to further her studies. In 1986 as a foreign student she opened a sizeable Arts Craft and Furniture company. In 1993 she established the Tianma Enterprise which sold LCD Monitors. It became one of the first Chinese companies to enter the market of high-tech products in America. In a joint venture with Shenzhen Tianma Electronics company (a listed company); she became the president and financial director of Tianma Electronics (USA). In the year 2000, she joined BioCalth International Corp. as an Asian Marketing Manager and launched a patented product called BioCalth. Under her leadership BioCalth has gained its reputation and has become a brand name product to many Chinese American families. The principle of Ms. Sophia Lee is to live life enthusiastically and give back to charity.